Taking cues from London and Paris, Sydney Rail hopes to transform the abandoned tunnels and train platforms of St James station in Sydney’s city centre into hip bars, restaurants, and shops in the next few years, reports The Sydney Morning Herald. The tunnels were built in the 1920s as part of a never completed rail line from the city’s eastern suburbs to northern beaches. 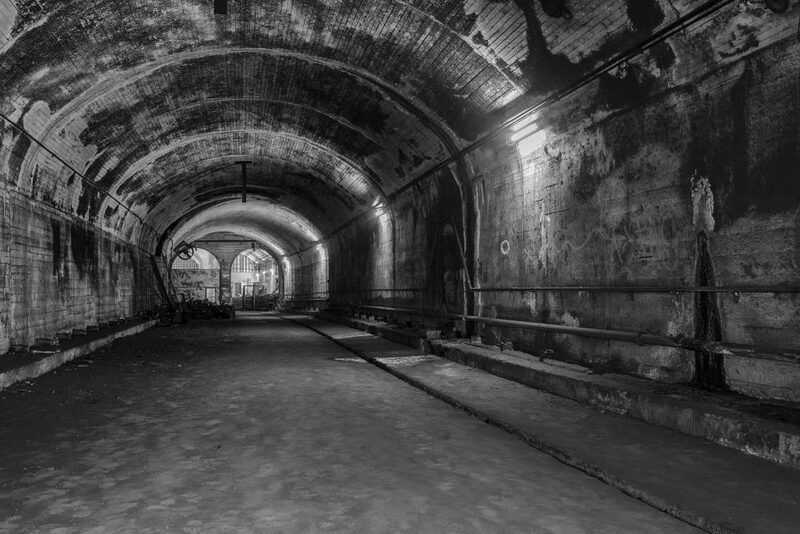 Parts of the southern tunnel were used as an air raid shelter during World War II, and as a mushroom farm between 1933 and 1934. Films and television shows, including the 1990s series Police Rescue and The Matrix Revolution, have also been shot in the tunnels. Despite the dank atmosphere and tales of ghosts in its farthest corners, NSW Transport Minister Andrew Constance said the subterranean complex was a “hidden gem” that could bring a $2 million boost to government coffers annually. He described the ghost tunnels as “a blank canvas” for arts, hospitality or retail and said the plan was “an exciting opportunity for interested parties” from the Australian and international market. “Spaces like the St James tunnel are rare. Around the world, hidden spaces are being converted into unique experiences and we want St James Station to be part of that,” he said. The plan would revitalise about 6,000 square metres of underground space in the north section of the disused tunnel network that sits about 30 metres below street-level and snakes beneath Hyde Park and Macquarie Street, towards Martin Place. CBRE, which is handling the expressions of interest campaign with Sydney Trains, told the AFR the project would appeal to CBD property owners who are constantly reviewing how to utilise spaces like basements and car parks. “The conversion of under-utilised areas into engaging social and retail precincts has been common practice in Europe for decades and it’s a trend that Australia is quickly adopting,” CBRE’s Head of Retail Leasing, Leif Olson said. Expressions of interest close on November 6 with construction potentially starting next October, with the new attraction completed in two to three years. In a good week for CBRE, the commercial real estate giant also trumped rival commercial agencies to provide fully integrated, property and facilities management services for key waterfront locations in Sydney including The Rocks and Darling Harbour, notes the AFR. Place Management NSW, part of public agency Property NSW, appointed CBRE after a process that saw it outsource management of more than 140 assets and public domain areas for the first time.